The Summer Windows are so PRETTY! We had such fun making all the bunting and cutting the doilies! 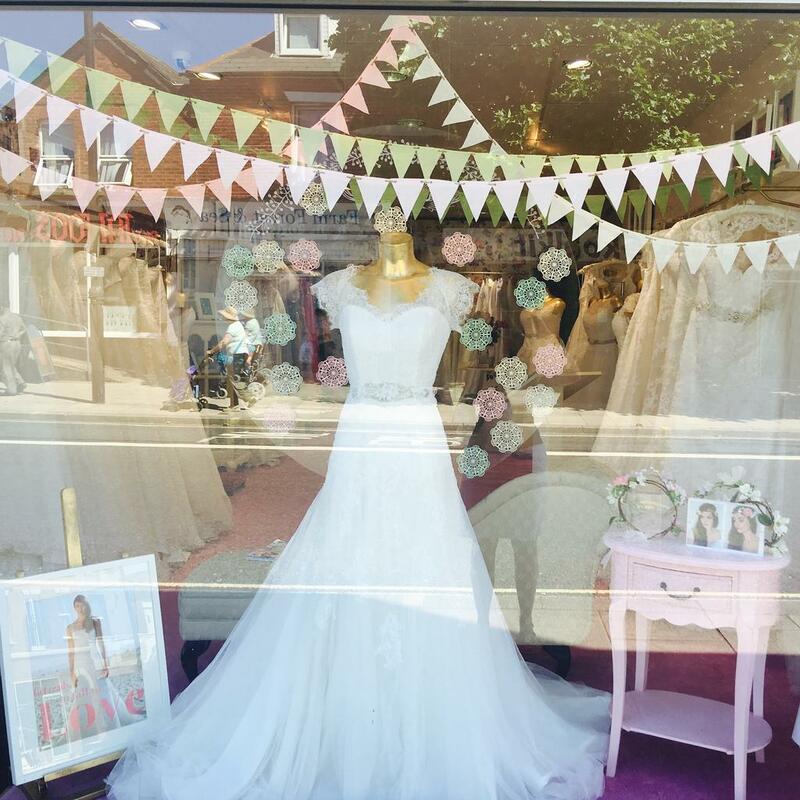 The dress we chose for the window is stunning for a summer wedding at one of the local venues with large gardens such as The Devere, New Place Hotel near Wickham or maybe the stunning country house wedding venue of Hill Place.